John Wong’s research focuses on hockey, history of business of sport, sport business decision-making process and power relationships. 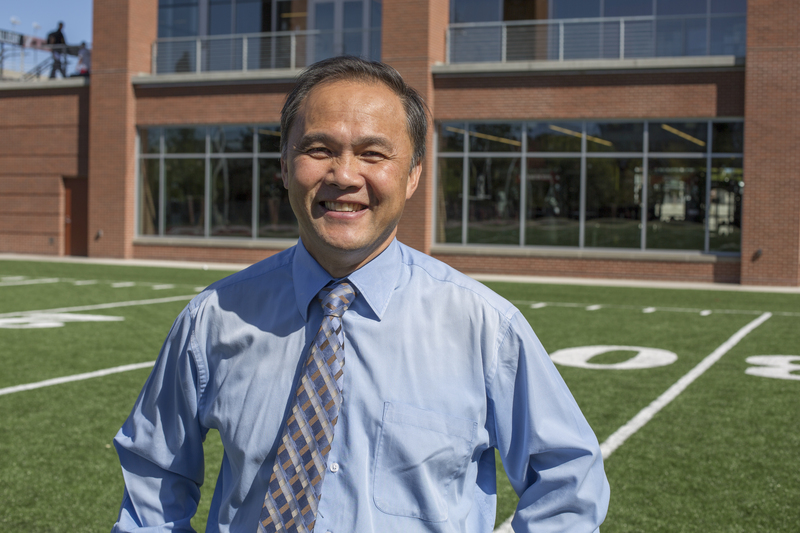 Dr. Wong has taught Introduction of Exercise and Sport Sciences, Sport Management, Leadership and Motivation, Sport Marketing, Facility Planning and Management, Sport Industry, Management Concepts, Sport History, Fitness Management; Women, Sport, & Leisure in the U.S.: A Social History; and Social History of Sport in the United States. John Wong, “The Patricks’ Hockey Empire: Cultural Entrepreneurship and the Pacific Coast Hockey Association, 1911-1924.” The International Journal of the History of Sport. (Accepted). Yong Chae Rhee & John Wong, “Knocked Out! : Marketing the Philadelphia Quakers.” Journal of Sport History 45.1 (2018): 41-65. John Wong, “Leadership and Organizational Culture: A Tale of Two NHL Franchises in Philadelphia.” In The History of Sports in Philadelphia, eds. David Wiggins and Ryan A. Swanson, 161-180; 283-9. Fayetteville, AR: University of Arkansas Press, 2016. John Wong & Bob Reinhart, “Representations of Physical Prowess, the Body, and National Identity in Selected Bruce Lee Films.” Sport History Review 44 (2013): 186-205. Richard Beales & John Wong, “From the Father of the “Great One” to Order of Canada Recipient: Media, Celebrity, and Walter Gretzky.” Canadian Journal of Media Studies 10 (June, 2012). http://cjms.fims.uwo.ca/issues/10-01/Beales.pdf. John Wong, “Boomtown Hockey: The Vancouver Millionaires.” In Coast to Coast: Hockey in Canada to the Second World War, ed. John Wong, 223-257. Toronto: University of Toronto Press, 2009. John Wong, “Entrepreneurship and the Rise of the Chicago Blackhawks.” In The Chicago Sports Reader: 100 Years of Sports in the Windy City, eds. Gerald Gems and Steven Riess, 254-280. Urbana and Chicago: University of Illinois Press, 2009.